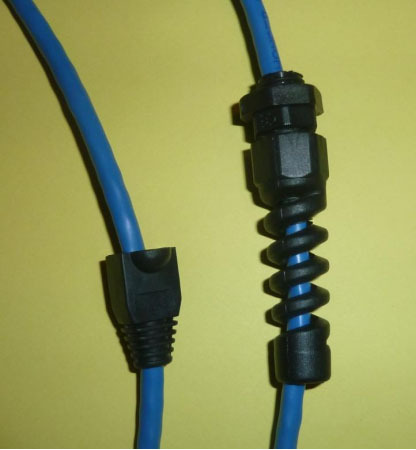 Ethernet to OBD2 (ENET) cable is a kind of hardware for change features on your F-Series vehicle when you using E-sys, Toolset32, ISTA P/D or any other BMW programming tool. 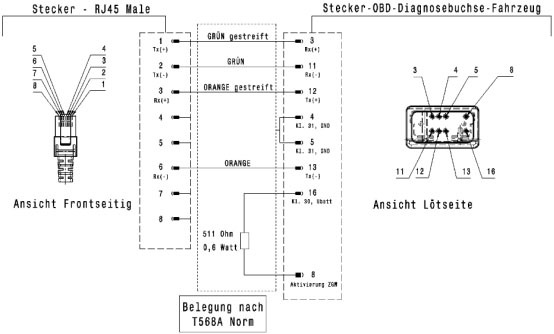 Here I share my experience on how to build a bmw ethernet to obd2 cable step by step.And if you want to run BMW E-sys,read BMW E-sys 3.29.0 3.28.1 Coding Software Free Download to download. Above picture show the tools i use to make ENET cable.The only specialty tool is the network cable crimper. 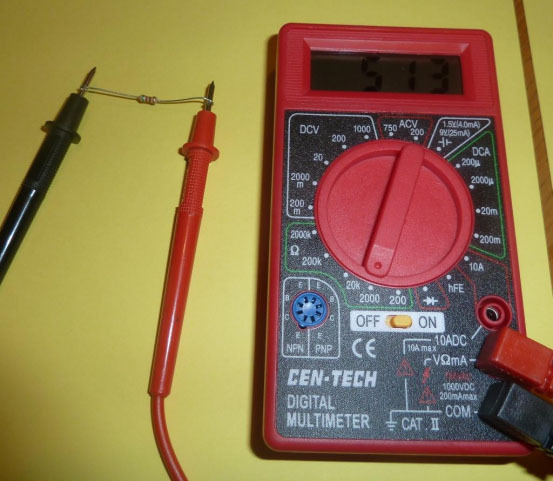 I’m using a simple and cheap multimeter to show that you don’t need anything special to test your cable. The only thing missing from the picture is the OBD2 Connector. 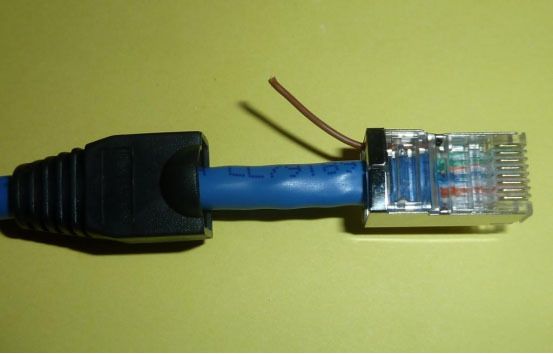 Here comes the guide on how to make ethernet to obd2 cable by yourself. Step 1:First I test the resistor to make sure it doesn’t fluctuate all over the place. Solong as it sits stable between 506 and 560 ohms you are set.I use 510 ohm, 1/4 watt resistors, but other people have used 560 ohm, 1/4 watt resistors and been perfectly fine. Step 2: Put on the RJ-45 boot and OBD2 connector cable protector. You don’t want to crimp the RJ-45 or solder your OBD2 connector only to find out you forgot to put these on the cable first. 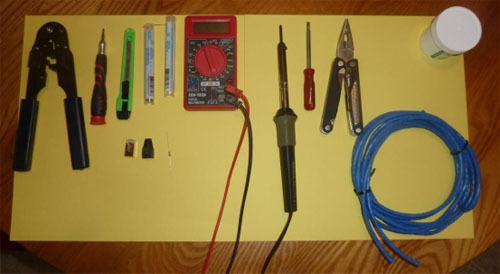 Step 3:Preparation of the OBD2 connector. The connector below is how I receive them from China. I then add more solder to the individual pins by tinning each one (left connector). You can also see that there are numbers on the connector. This makes determining what pins your working with pretty much idiot proof. You could also feed the wires through the holes in the board and solder them to the pins on the other side. I don’t do this because it’s not as simple a process as soldering directly to the pins here. 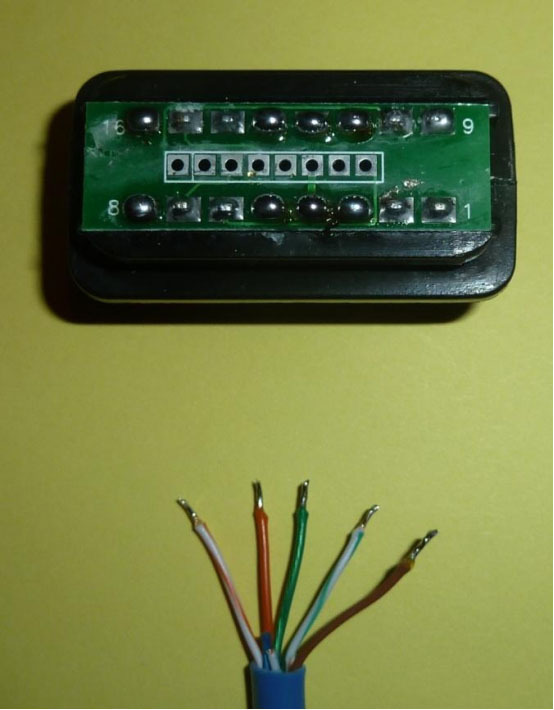 Step 4:This shows the wires we’re going to be using to connect to the OBD2 connector. In this instance we’re using CAT5e cabling and I’ve already completed the tinning of the wires. You shouldn’t strip very much casing off the wires. I cut the unused wires at differing lengths to prevent shorting. I think the important thing is not to get wrapped up in the coloring. So long as you get the same wires connected between the OBD2 and RJ-45 you’ll be OK. 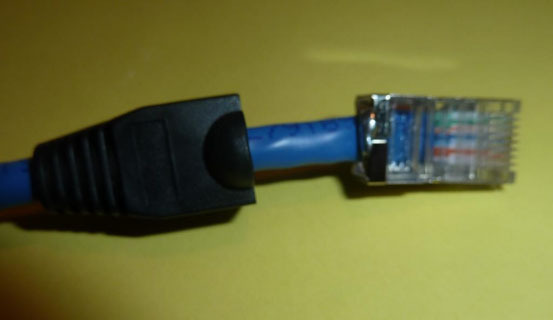 Step 5:Here’s the RJ-45 side. 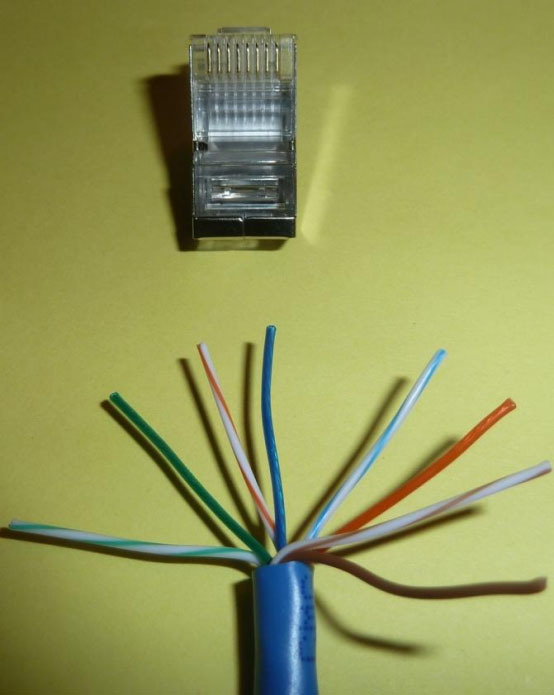 You’ll insert the wires into the RJ-45 with it positioned like itis in the picture. just wanted to be sure I followed the schematic as closely as I can. RJ-45 and ready to be covered by the connector boot. 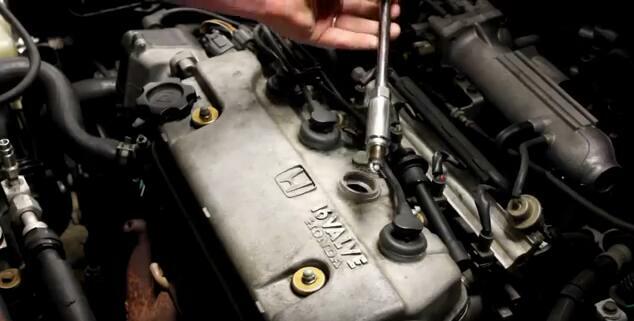 Step 7:On to the OBD2 connector now. This is where the bulk of your soldering will be. You shouldn’t worry about your soldering skills because no one else is going to see your work. That and its going to be covered by the casing of the OBD2 connector. I’ve soldered on the 510 ohm, 1/4 watt resistor to connect pins 8 and 16 together.That was easy! Here’s the brown (pins 4 & 5) and white with green striped wire (pin 3) soldered. 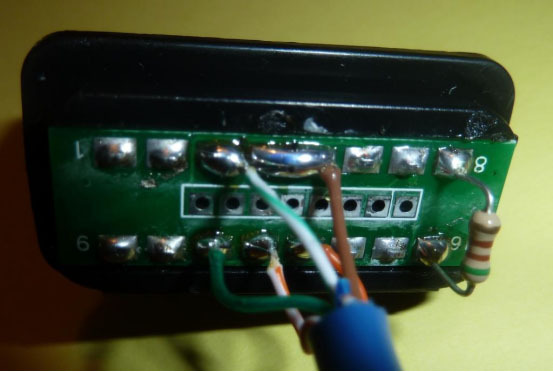 They are connected on the RJ-45 side to the metal casing and pin 1 respectively. Step 8: Alright, we’re almost there.Here’s the Green (pin 11), white with orange stripe (pin 12) and orange (pin 13) soldered.They are connected on the RJ-45 side to pin 2, pin 3 and pin 6 respectively. 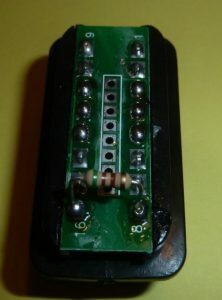 Large picture of all the connections on the OBD2 connector side. 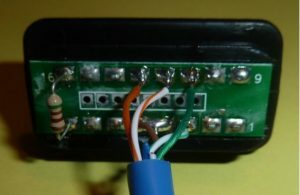 I always add additional solder to the connections after initially connecting them to be sure there’s no way they will disconnect from everyday use. 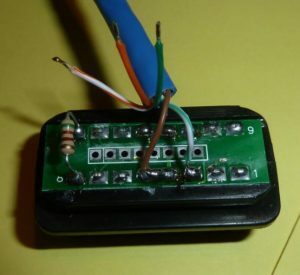 All you need to do now is use your multimeter to make sure you have good continuity in the wires between the OBD2 connector and RJ-45; and that the resistor is registering the correct ohm reading. See that was easy! Last but not least here’s the finished connectors. My final information is parts locations. I get my resistors from a local electronics supply store, but you can get them from Radio Shack if you are in a bind. They are a standard resistor and are readily available in the US. If you are in Europe you should be able to source the 511 ohm, .6 watt resistors the schematic lists fairly easily. Since 510 and 560 ohm, 1/4 watt units work and I can get them by driving 15 minutes, that’s what I use. The shielded RJ-45s come from an online supplier. You can buy them in lots as small as 10 one eBay as well. You could also use a standard non metal cased jack. I exclusively use shielded jacks in the network cables I build so it’s an easy choice for me. Finally, I get my OBD2 connectors from China through sellers on eBay. You are looking for a male connector. I haven’t had any quality problems with the connectors I’ve received but the shipping can take a while so be sure to take this into account. 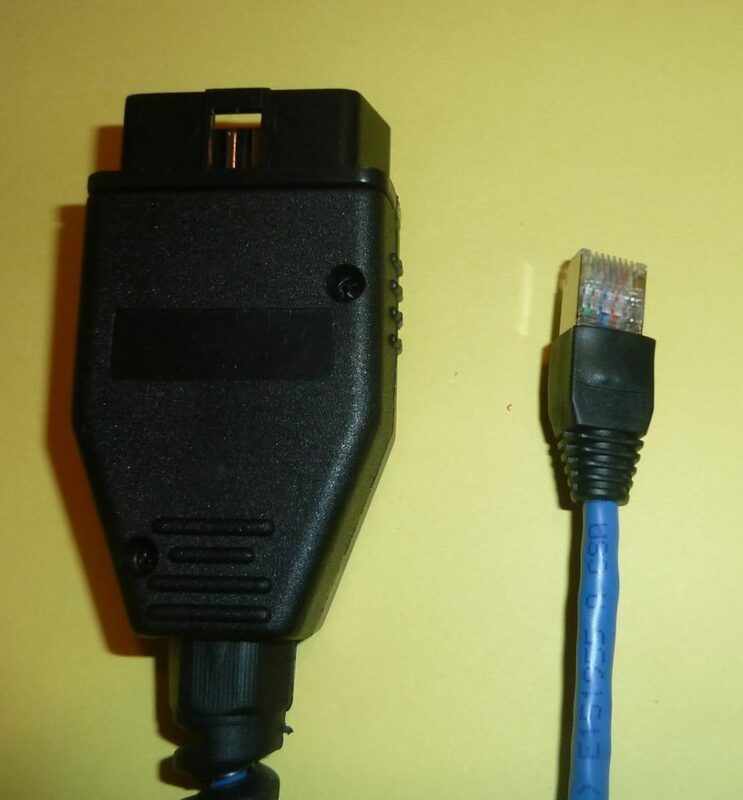 Do an eBay Search for: Universal OBD2 connector I’d post a link but they don’t last for long after an auction ends, so it would be a waste of time. OK, good luck. I hope this helps you build your cable.